Happy Labor Day! I hope everyone is having a good weekend so far. Our next giveaway comes from one of P&P's sponsor, Acute Designs. 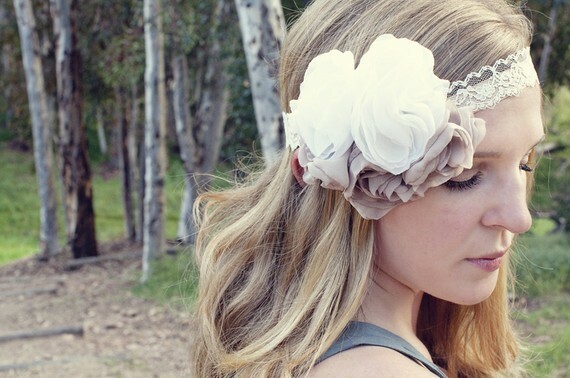 The Flowers & Vintage Lace headband is soft, romantic and is handmade by Regina. It's the perfect accessory for all you vintage loving brides. 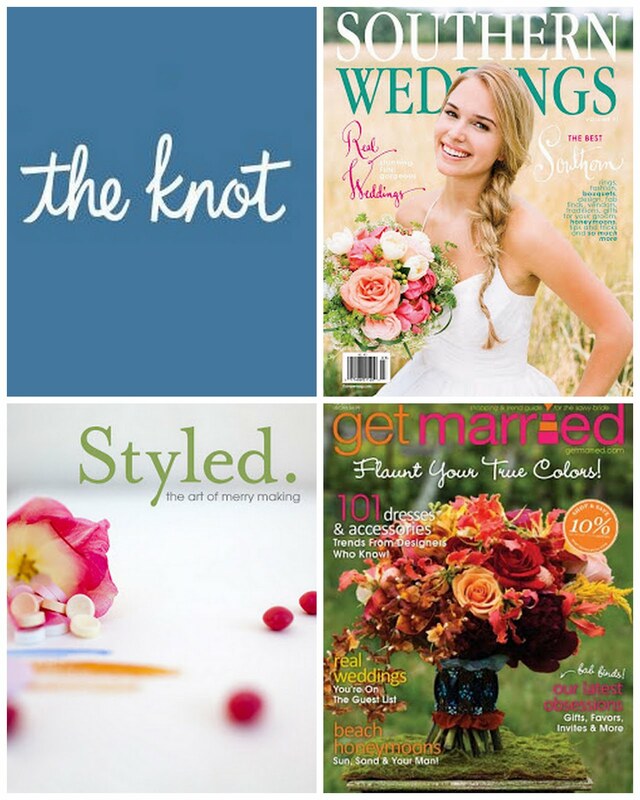 Today, one lucky P&P reader will have a chance to win it! • visit Acute Design website and leave a comment with your favorite item. Giveaway ends on September 8, 2011 at 5 pm EST. Giveaway has ended! What's not to love?! The shoe clips are adorable and I am loving the pearl bow headband too! Tweeted! Happy Blogiversary to you Chris!! I love Rhinestone and Pearl Bridal or Special Occasion Headband, absolutely beautiful! I LOVE The Rhinestone and Pearl Bow Headband, so adorable!! Love these! My fave is the Goddess Leaves and Silk Tie Headband or Halo. So pretty! I love the Bandeau Veil with a Trio of Satin and Pearl Flowers! and the shoe bows are so cute! I love the rhinestone and pearl headband! I liked acute designs on Facebook! damn! the luxe and the lace bandeau are amazing picks from her shop, but the soft flowers & vintage lace is my favorite, by far. i dig it, lady. My favorite items is the Vintage Champagne Beads! This would be so pretty with the right wedding dress! Just love it! LOVE the rhinestone and pearl bow headband! Also follow postcards and pretties on twitter! The turquoise and mustard leather bangle bracelets are awesome! Love it all! Follow Postcards & Pretties on Twitter. Follow Acute Design on Twitter @red66060. Like Acute Design on Facebook as Deana Kneen. fabulous giveaway :) i'm loving the mustard and cream headband/halo from the shop. I love the Rhinestone and Pearl Bridal or Special Occasion Headband! following acute designs on twitter also! liked acute designs on Facebook! I love the double Natalie headband in gold! Love the vintage jewel and white lace! Definitely added acute designs to my etsy favs! !